In the past financing a business involved approaching a small group of people for big sums of money. Crowdfunding is radically changing this traditional approach, using the global reach of the web to help technology entrepreneurs reach an audience to thousands – if not million – of potential funders who can each contribute a small amount. The concept has turned the funding landscape for start-up businesses on its head – small business owners that have been declined by high-street banks now have an opportunity to appeal directly to small investors. Equally, whereas investing in small business was previously the preserve of the very wealthy, this new concept means anyone can reap the benefits of investing in exciting new tech start-ups, whether they want to risk £10,000 or £10. While bigger technology companies seeking big sums will continue to be funded in more traditional ways, crowdfunding is poised to alter the investment ecosystem for smaller investments, just like angel investment and venture capital before it. Recently, there have been notable and significant updates regarding the regulation of crowdfunding that would-be entrepreneurs, investors, leaders and borrowers with an interest in this sector should be fully aware of. The Financial Conduct Authority (FCA), the independent body responsible for the regulation of crowdfunding activities, has recently published rules surrounding this type of financing, which took effort from April 1, 2014. They have also provided a detailed response to the feedback received from its consultation paper published in October 2013. The FCA rules explain how crowdfunding fits in to our financial regulatory system and what you must do if you or your business is involved in it. 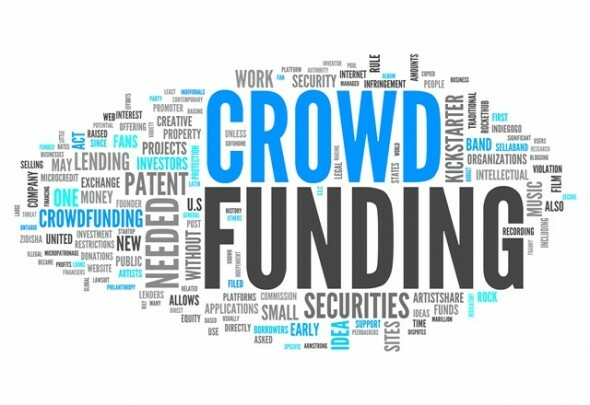 Investment-based crowdfunding usually involves subscribing for shares or some other form of securities (eg, CrowdCube). From April 1, 2014, investment in companies through crowdfunding platforms will be restricted to investors advised by professionals linked to corporate finance or venture capital firms or those certified as sophisticated or high-net-worth individuals. Investors who do not fall into one of these categories will be restricted to spending no more than 10% of their assests (excluding homes or pensions) on crowdfunding each year. Investors who have not been advised will need to pass an “appropriate test” that they have knowledge and experience to understand the risks associated with crowdfunding. This has been met with much criticism with Barry James, founder of Crowdfunding Centre, expressing to The Guardian that this new rule would lock ordinary investors out, saying that it “takes the crowd out of equity crowdfunding”. However, the FCA has stated that the reason for this clampdown is to provide consumers with a greater degree of protection and to promote effective competition in the interests of consumers. Some lenders welcome he proposals on the basis that increased regulation will strengthen consumers confidence and increase borrower numbers. IV.0.05% of any remaining balance of total value of loaned funds outstanding above £500m. Traditional pledge-based crowdfunding remains unregulated (for example, Kickstarter). So if youre looking to raise money platforms that are backed by donations, or where rewards are given as opposed to an equity stake, you can breathe a sigh of relief. The regulations don’t cover you. These types of platforms are exempt from the rules. As already mentioned, the new rules and regulations have received mixed reviews. A lot of criticism of the rules has focused on this 10% rules as it restricts the crowd to a relatively narrow category of people and limits the amount of money the vast majority of ordinary people can invest. Only time will tell if the new rules will affect the way capital is raised online in a positive or negative way. In any case, those individuals, businesses or investors participating in crowdfunding, should familiarise themselves with the new rules and how they will affect them. The Commercial and Corporate Teams and Mincoffs Solicitors can provide tailored advice to suit your business needs. The Commercial and Corporate teams at Mincoffs have recently been shortlisted in the Regional Law Firm of the Year category for Technology, Media and Telecoms in the Legal 500 Awards. Call Head of Commercial Antony Hall on 0191 212 7734 or email ahall@mincoffs.co.uk to make an initial appointment.